What’s Wrong With Your Marketing Math? Ever feel like something is rotten in the state of your company’s marketing? Too often, untangling marketing’s role within the company and showing the metrics that prove real value can turn into a Shakespearean-level drama. What happens when you decide to untangle the parts and players and start making sense of the numbers in front of you? Allie Butters, head of marketing and sales at BrightFunnel, joins in to help explain how to make your marketing math add up. Is Marketing a Must-Have or a Nice-to-Have? Measurement is the key to marketing, and subjectivity is the villain of your production. It’s like going to a Michael Bay movie. There’s a lot of flash and noise, and it looks pretty cool, but without solid metrics, there’s no plot or clarity. In 2017, 77 percent of global B2B marketing decision-makers said that an inability to measure results is one of their top concerns. Without objective measurement, different divisions in the company don’t see the value the marketing team adds because they don’t understand what exactly it is that you do. Worse still, some CEOs don’t see marketing as a key component of your company strategy—and you don’t want to get labeled a bit player. When surveyed, there are still companies that answer “Not important at all” when asked how important marketing impacts their success. So if everyone’s freaking out about measurement . . . then why is everyone freaking out about measurement? Shouldn’t everyone be on the same page? Not so fast. You have a few challenges to overcome to get everyone on script and to get your marketing math sorted. Take a look at your marketing funnel. You know that you want to bring awareness to interest, then down to decision, and finally to an action or commitment. What you may not realize is that you aren’t reaching all your audiences, and you won’t reach them until you dig deep. Insight and transparency into the data collection process, and into other areas of your company, are the first steps in getting out of that shallow trench. Look at lead-scoring, for example. When marketing collects the data, but sales chooses a lead to pursue based on their motivations, it’s like handing an actor a Shakespeare script and having them run off to do a bit from Friends. It’s totally unexpected, and it suits some tastes, but it has nothing to do with the audience you intended to reach. Disregarding data wastes time and effort. If there’s no transparency, you don’t get to course-correct before the data gets misused. There has to be cooperation so that everyone in the company can see the entire marketing funnel—all the way down to action. 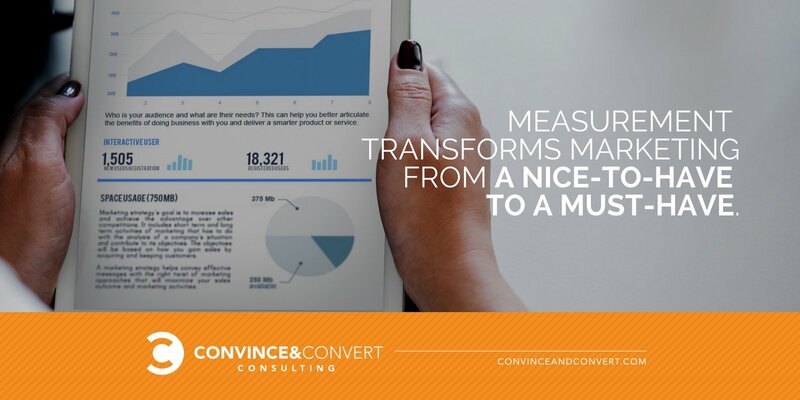 Measure it by function and target your audiences within the company. Sales, CEOs, and all the different marketing bases should get tailored reports to help them see why your data is essential. 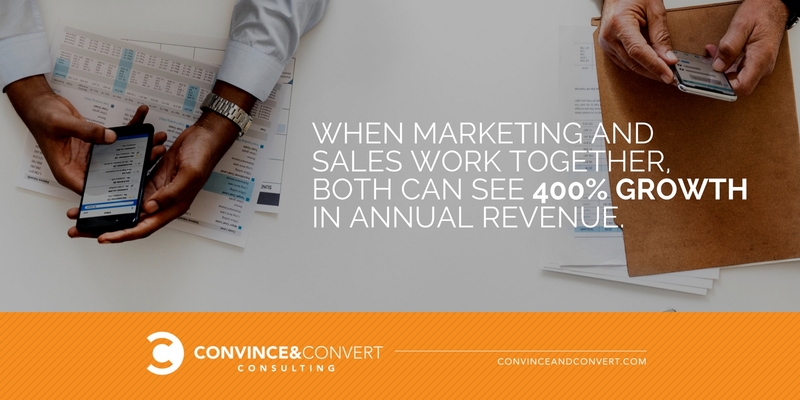 This is math you can use right away: When marketing and sales work together, both can see 400 percent growth in annual revenue. Sales and marketing should be a collaborative ensemble, not separate entities. Once you’re working together, you get to have some real fun: You can begin killing your marketing lead losers to start getting real reactions, fast. Who doesn’t love to cut ineffective projects out of the lineup? After you nix the shallow insight and lead measurement for a deeper understanding, you can begin to tackle marketing math challenge number two: You have to stop measuring without attribution. Measurement without attributing credit to the source is unhelpful, and yet we see it all the time. This is especially problematic in social media marketing, where you’re running simultaneous campaigns and feeling as though you’re spinning in circles faster than Olympic ice dancers. There’s quantity, but where’s the quality? The trick is to check your perceptions at the door and welcome in your attribution. Have you ever heard the story of the blind men and the elephant? When touching the elephant, each man identified the elephant as a different object (a rope, a tree, a leaf) based on the part they were touching. Assumptions mean nothing without metrics to back them up. We all know the line about what happens when you “assume,” but there’s a second part we don’t discuss as much. Tom Webster from Edison Research says, “The plural of anecdote isn’t data.” When you say no to “attribution,” you’re saying yes to your own biases. It’s too easy to explain away poor performance with your own attitudes and filters affecting your judgment. So don’t do that! Find what isn’t working using real, hard data, and slice your losers out of the lineup. Knowing how to attribute shows you the difference between Shakespeare and Friends. There are several attribution models to know so you can measure your marketing accurately. Converting a prospect to a sale is great, but you really need to know which action on the line made the flip. You’ll see in the webinar how Allie and I assess our favorite models, so that you can figure out which tactic or tactics are the best for your company. You can choose what makes the most sense for you, and you’ll get a sense of what each model values at each point in the lead conversion. Go Forward and Measure Better! When you check out the webinar, you’ll see how big names like Invoca and Cloudera chucked the script on shallow measurement and used solid attribution to achieve incredible growth. Allie’s insights from BrightFunnel’s targeted B2B marketing experience will help you sort out your marketing and sales to help turn them into a powerhouse performance ensemble. If you’re ready to adjust your math to make it work for your B2B marketing, check out the What’s Wrong With Your Marketing Math? webinar to understand how to value marketing, go forward, and measure better!